As most of you probably already know, England is one of the most expensive countries in Europe. If you’re planning to come here, then you might be horrified researching the cost of public transport, food, hotels, and most importantly – drinks prices. But take it from me, after living in England my whole life, I can tell you confidently that it definitely can be done – even on a backpacker budget! When there’s a will – there’s a way we always say! I have spent the last 12 months saving like a b*tch for my upcoming around the world adventure – so I basically live on a backpacker budget anyway. Here is the ULTIMATE guide to traveling England for as little money as possible. Although by train is my favorite way to travel, trains in England can be mega expensive without proper planning. I once missed a coach to London and ended up having to pay nearly £100 for a train ticket ONE WAY from Manchester to London on the day. Don’t make the same mistake as me. If you are flexible on dates and times of travel, you can save a lot of money – especially on the day tickets. If your journey starts between 6.00-9.30am and 4.30-7.00pm – you will be charged for a PEAK ticket – so if possible try to avoid starting your journey between these times (it doesn’t matter if you are already traveling, it counts from when your journey starts). If you can start your journey outside of these times then you can get an OFF peak ticket – which is usually a few pounds cheaper. To really save money on trains – you need to buy an ADVANCE PURCHASE ticket wherever possible. You can get these tickets many months in advance – however, you can still get the cheapest fares still usually around 2 weeks before the travel date. The two websites I use are the ‘Deal Finder’ section on https://www.virgintrains.co.uk for long distance travel. You can also check https://www.thetrainline.com which will give you the cheapest ticket types available on the day that you request. Another thing to bear in mind if you are here for an extended period of time – you can buy a ‘Railcard’ at any staffed train station in the UK. This costs £30 – but it entitles you to 33% off your train tickets – definitely worth a look if you are here for more than a few weeks. 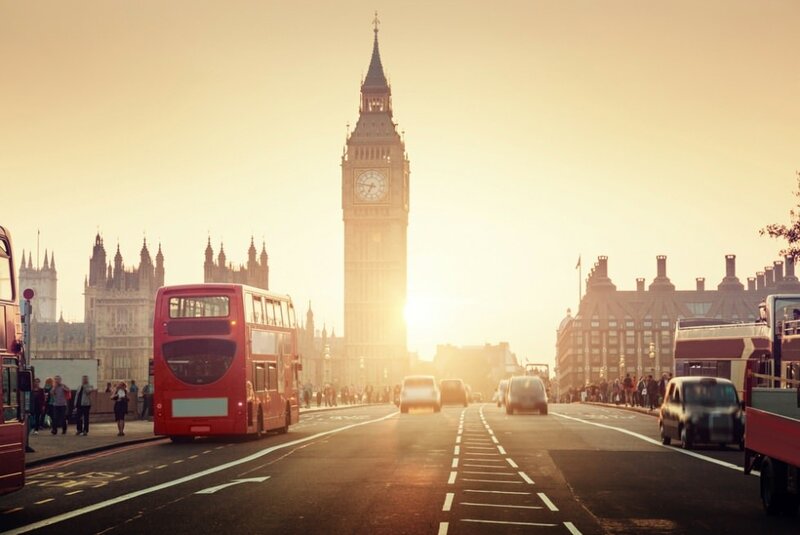 For traveling around one city or area outside of London, you can usually buy a day ticket for around £5 which will give you unlimited bus travel with that particular company for one day or one week. You can buy them from the driver with companies like First or Stagecoach. For inter-city travel, my favorite company EVER is Megabus. If you book a few weeks in advance and you are flexible you can get fares for £1! I have traveled from Manchester to London many times for only £2 return which is amazing, considering it takes around 5 hours each way. I also usually look at National Express for comparison. Compare the two every time because if you are within 2 weeks of travel then National Express can be a lot cheaper. National express also offers a coach card which also gives you 30% off for the whole year. This is especially good if you are here for a longer period of time. Whenever I used to visit London, I always spend a FORTUNE obsessively taking the tube absolutely everywhere. It is perfectly possible to walk around most cities or even cycle, to save yourself money on transportation. Use maps on your smartphone to find the route – or ask for a map at your hostel or any of the tourist information desks. Wrap up warm if you are visiting in winter though as it can get a bit nippy! Museums and Cathedrals in England are usually free. Take advantage of this. Especially on a rainy day. It won’t cost you a penny! If you must spend your whole night on the town, then always start off at a Large pub chain such as the nearest JD Wetherspoon or Yates’s – they have them in every town and city! You can share a £6 bottle of wine between 2 of you – so thats pre-drinks sorted for £3 each! Another tip is to check the Facebook page of the club you are going to before you arrive. You can usually get free guestlist entry this way by checking the wall posts for messages from the club promoters and commenting on the post, this also means no queues in the freezing cold! London is one of the least budget-friendly places in the whole world. London is great – but stay more than a few days and you’ll be broke as a joke. There are plenty of other places in England outside of London, such as Manchester (Wheeeey! ), Liverpool, Newcastle. The further north you go the cheaper things are. Fancy restaurants can be very expensive in England, but OK for the occasional splurge. The cheapest way to eat out in England is the traditional pub lunch. Any of the large pub chains will usually be less than £10 for a meal and an alcoholic drink. My personal favorites are JD Wetherspoon, and Yates’s. Wetherspoon do a different offer each day of the week – for example, Thursday is Curry Thursday – and a curry and a drink is around £6.50 which is an absolute bargain. Yates is very similar but I prefer Wetherspoon. (or ‘spoons’ – as we call it). Lunch is usually cheaper than dinner – Look for a set menu on the board outside. Check out Tastecard. 50% off or 2 meals for the price of 1 at many restaurants in England – I absolutely love this and use it every time I eat out. Just remember to pre-book your table by calling the restaurant before you arrive otherwise you may not get the discount! It costs £1 for 3 months. Order a bunch of starters and share these between everybody. It often works out cheaper than buying main meals. You can get a Pay As You Go sim card from any mobile phone shop or most newsagents. However, I recommend 3 networks as this is who I use personally. Everything is 1p (Call/min, text, 1MB data) which is amazing. You can also change your credit to an Add-on which will allow you to use this in 42 other countries free of charge. Have a look here. Pretty much everywhere has free Wi-fi. All cafes, shopping centers, airports, restaurants, pubs, and bars. Once again. NEVER, Ever, I repeat NEVER turn up to the train station on the day and buy a ticket for a long distance journey. This is budget suicide and will cost you a fortune. Always pre-book everything, from trains, buses, accommodations, attractions as far in advance as possible (at least a month if you can) to get the best prices. Also pre-book your tickets online for any attractions you might want to do when you are here, as you often get a discount for booking online. For accommodation bookings, I ALWAYS recommend Hostel World. Prices start from around £30.00 per night. Budget travel is definitely possible in England, although admittedly more difficult than other European countries – you just have to plan in advance.